So, what did I get in the week of Sunday, November 9th to Saturday, November 15th? ONE MORE FULL WEEK AND THEN THANKSGIVING BREAK STARTS OMG!! Dude, that Rogue Wave cover is gorgeous! I really need to start that 2B series too.... crap. Enjoy! ISN'T IT?! I love it so much! And for a New Adult contemporary romance series, the 2B series is not bad! I'm very curious how Rogue Wave will be. I was a bit meh about the first book but if this one is amazing I'll have to read it. Can't wait to hear what you think! I'll be reviewing it... next week, I think. Thank you! Awww! You should definitely get a copy of book one, I liked it a lot. Sometimes it's easier to ask for a print copy than a copy from NetGalley? I'm not entirely sure. It IS really pretty! I liked book one a lot. Thank you so much, Carina! OOoh nice! Seen Rogue Wave going around! Such a gorgeous cover! Awesome reads! Haven't read them myself but they look like you'll enjoy them! Happy Reading! My STS will be up tomorrow, stop by then if you can! I love it so much! Hopefully the book is just as awesome. Thank you! Wow, Rogue Wave's cover is absolutely gorgeous!! And I was also approved for The Shape of my Heart! Hopefully we'll both will love it as much as we loved the two previous ones! Rogue Wave is so pretty! I still need to read Deep Blue, though. I hope you enjoy your books! I can't believe that Thanksgiving is almost here indeed. I hope you love all your new books. Right!? So excited! Thank you! I want to read both of these. I hope you enjoy all of them. Rogue Wave's cover is so pretty! I'm not a fan of mermaids, so I'm not that interested in reading the series (though the covers make me curious about them). Enjoy your new books! I'm usually not either! But I liked the first book a lot. Thank you! Love the cover of Rogue Wave. So colorful and captivating. 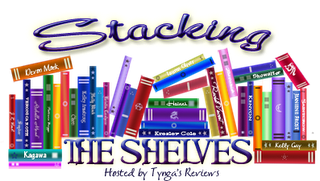 Ann's books are on my list but I haven't ha a chance to read any of them yet. Right!? Gorgeous! And you would like Aguirre's 2B trilogy, Marilyn! Rogue Wave is BEAUTIFUL. My goodness! I need to read the first one just so I can own the second one. Gorgeous! 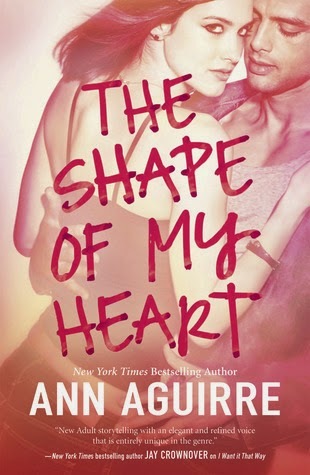 I also can't wait to read The Shape of My Heart, I loved the first one, and haven't gotten to the second one yet. Hope you love them! I so agree! I love the cover, it's even more beautiful in person. And the 2B trilogy is pretty awesome. Thank you! That's so cool! Expect that the cover's different, wahh. Rogue Wave sounds great, hope you enjoy and have a great weekend. I LOVE the cover of Rogue Wave!! I think I've seen Deep Blue around a few times but I haven't read it yet. I also just started Ann Aguirre's 2B trilogy and am looking forward to reading the second and third ones. I hope you enjoy your two new additions and that you have a nice week! It's pretty! And I liked Aguirre's 2B trilogy a lot. Thank you! These both look appealing - especially love the Rogue Wave cover. I haven't read DEEP BLUE, but I've wanted to ever since it came out earlier in the year! 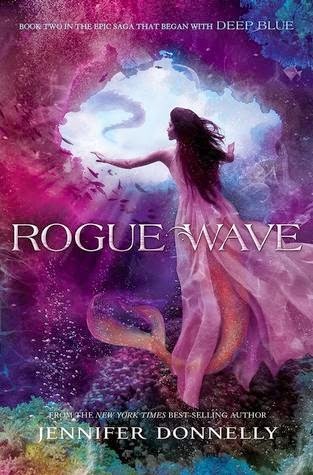 And I LOVE ROUGE WAVE'S cover!!! WOW, both the covers are EPIC!! I hope you enjoy all your new goodies! You should! And I totally understand. Thank you!